Many real estate investment brokers will try to lead you to believe that you can’t do an apartment building for sale without them. The numbers however prove otherwise and the savvy real estate investor simply needs to know how to connect with the right source of off market deals. Likewise if you are considering selling your apartment building by owner you can save on commissions but you have to be able to get exposure to a wide marketplace of apartment building buyers. 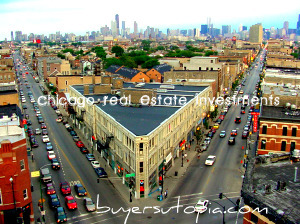 BuyersUtopia has been one such off market network that helps facilitate for sale by owner and off market deals. If you are seller of an apartment building you have to keep in mind investors only will acquire your building based on real and verified numbers. If you think you are sitting on a trophy asset but the numbers don’t support your valuation you are wasting your time. Sellers have to get realistic with pricing, long gone are the days where speculators were over bidding apartment buildings assets with an exit strategy of converting the units to condominiums. If you are a multi family apartment building owner or partner in a syndication call us at 312.433.9300 x 20 for a confidential consultation. Our team can help package your property to numerous REIT’s, & Investment Groups in our network or we can assist with by adding value with a non recourse assumable refinance to improve your net numbers and make the property more marketable in the future . If you are a real estate investor and considering buying an apartment building for sale by owner or otherwise you will want to really scrutinize the numbers to make sure you have a real deal. Perform due diligence on the owner’s financials. Get the public record information and the seller’s financial information about turnover, vacancy patterns, maintenance fees, gas and water bills, manager’s fees, insurance and property taxes. These are items that can add specific data to general income and loss numbers. Find out what updates or improvements the owner has made to the building or units and when these were completed. 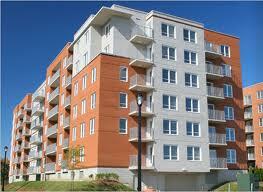 If you are a seasoned real estate investor contacts us to submit your acquisition criteria. We also offer free acquisition consultations with first time investors. Call 312.433.9300 x 20 for a confidential consultation. Through our network we do often have investors do remote control deals, meaning they fully intended to outsource the entire process including property management. It is not uncommon in our network for a private real estate investor to be looking to acquire out-of-state investment property. We always recommend that after all the numbers are verified and LOI agreed upon that the investor do a walk-through visual inspection of the property. 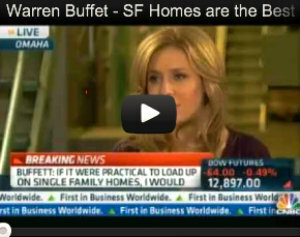 Some investors will outsource that and just hire a broker or building inspector for the inspection. Whoever is doing the inspection the investor or hired help need to look at the outside of the property. Check everything roofs, landscaping, driveways and parking areas for any obvious damage or repair needs. Inside the buildings, check the electrical system (its age and dates of updates), heating and cooling systems, water pipes, maintenance rooms and laundry facilities. We also highly recommend that you visit the actual units themselves as well, even if they are occupied, you should get inside a good amount if individual units. You will want to take detailed notes on any obvious repair needs or poor condition items within units and for the whole building. Compare the repair or replacement cost of these items with the seller’s asking price. As a final due diligence matter we encourage you to speak separately with the property manager and the maintenance staff if they are not the same as the owner. For both buyers and sellers off market apartment buildings can be a great opportunity to transact deals, if you’re doing your due diligence and being realistic on pricing and comparative cap rates.